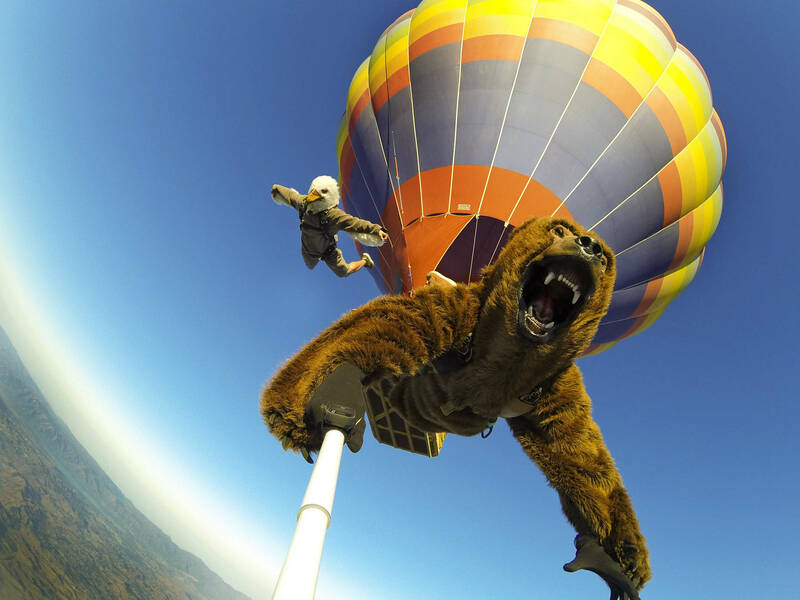 Since they debuted in 2004, GoPros have given us some new perspectives on the world. It's pretty incredible how back on the playground we used to wonder what it would be like if you could only put a camera on a shark. Or a remote-controlled helicopter. It was some slow wish-granting, but better late than never. To honor our inner kid, we've rounded up some of the coolest things a GoPro has ever been strapped onto. Unfortunately, no one's been able to successfully flush a GoPro. Yet. Not badass per se, but pretty sweet. It would be cool even if it weren't DIY, but it is. Which, if you remember, means you can DO IT YOURSELF. Seriously, what are you waiting for? You can actually send a rocket to actual space and bring back proof. A pelican's honking bill is so big that it can easily carry a GoPro. Unlike those other bird videos, this one lets us see the bird's face. Not that it betrays emotion. Thing is stone cold! Sadly, they couldn't attach it to the bullet, but still pretty impressive. Fireworks are awesome from the ground, but they are four-thousand percent more awesome if you're in a cloud of them, like this lucky GoPro. The next step would be to put a GoPro on a drone in an actual storm, but any lightning-strike videos wouldn't survive, alas. Or a cage, if you prefer. There are some pretty gnarly crab-on-crab brawls down here. If only they could work together, they could get out of there. This is pretty much nightmare-worthy. It's not as explosive as the rocket, but it gives you a way better view of space. And it once again proves that having extraterrestrial hobbies isn't just for Sir Richard Branson. This 110-pound fish was not easily convinced to wear this GoPro, but was kind enough to provide some incredible footage. It's not extreme! in the least, but it's pretty cool to see a hula hoop from a new perspective. And it's a little less nauseating than the GoPro frisbee. This is the coolest thing a GoPro has ever been attached to. It is also the most American thing a GoPro has ever been attached to. You are probably wrong if you disagree, but please let us know day or night on Twitter. This would be emergency status. This video doesn't quite qualify because it was taken using Shimano's action cam, but it's pretty insane. It wasn't technically attached to anything, but better than those standard fretboard shots. Ethan Wolff-Mann is an editor at Supercompressor. He is planning on making the next edition of this list. Follow him on Twitter @ewolffmann.